SCH announces the distribution of Bright Shield Conformal Coatings from Trinity Shields for the Asian market at the Electronica Exhibition in Bangalore, India in September 2014. This is part of SCH’s ongoing expansion in Asia which includes the new office opening in India this Autumn along with direct staff employed there to help provide the high level of service customers expect. Trinity will be showcasing these products with their distributor SCH Technologies at Booth 3125 at Electronica in Bangalore. Customers can visit the stand and request a free sample of liquid or aerosol conformal coating which will confirm that Bright Shield Conformal coatings offer a high quality product and a competitive price. Why Use Polyurethane (UR) Conformal Coatings? Polyurethane coatings are one of the second most popular choices for conformal coating applications after acrylic conformal coatings. Urethane materials are available in many different forms including single component, two component, UV curable, and water borne systems. As a group, all UR coatings provide excellent humidity. What a key feature of UR mateirals is offering chemical resistance; this makes them one of the more popular coatings when it comes to protection of the critical operation of your printed circuit boards (PCBs) in a chemically aggressive environment. On the downside, urethanes can have a few more issues such as longer cure schedules, harder to rework due to chemical resistance, higher costs due to higher cost of resins and certain issues with Health & Safety when soldering through the coatings. Why Use Silicone (SR) Conformal Coatings? Silicone conformal coatings are most widely used in high temperature environments due to their innate ability to withstand prolonged exposure to higher temperatures compared to all other conformal coating chemistries. This characteristic has made them one of the primary choices for under the hood automotive applications where temperature is critical. They are also capable of being applied in thicker films making them useful as a vibration dampening / isolation tool if the coated assembly is to be placed in a high vibration environment. Silicone-based conformal coatings can be either tough, abrasion resistant, or soft, stress-relieving materials, depending on the formulation. They are most recognized for their stability over a wide temperature range and during temperature cycling. These conformal coatings provide good moisture and corrosion resistance and are available as both solvent-based and 100% solids formulations. The 100% solids materials can be cured with heat, moisture, or UV. Reworking can be a significant issue but chemical strippers are available that enable this process to varying degrees of success. As with epoxies and urethanes, there are some handling issues with silicone coatings, specifically if they are moisture cure in nature. Why are there so many conformal coating material types? If you would like to know more click different conformal coating material types . Need help choosing the right conformal coating process, equipment or material? Use our Consultancy to find the answers…. 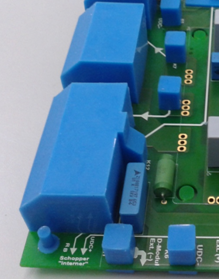 New conformal coating processes, materials and equipment are being developed every day. The speed with which technology changes makes it almost impossible for the average engineer to know everything about conformal coating and that is where SCH can help. Our consultants have intimate knowledge of the available conformal coatings and equipment in the market place and work with suppliers on a regular basis to ensure their knowledge is up to date. They are also aware of the current standards, legislation, and best practices and have in-depth experience in recommending processes that work immediately and without compromise. This allows SCH to recommend the optimum practical and commercially suitable process when it is a New Product Introduction (NPI) for the customer, without compromise to results.